DESCRIPTION: (from the back cover): Two decades ago, the producers of the James Bond movies hired legendary crime novelist Donald E. Westlake to come up with a story for the next Bond film. The plot Westlake dreamed up – about a Western businessman seeking revenge after being kicked out of Hong Kong when the island was returned to Chinese rule – had all the elements of a classic Bond adventure, but political concerns kept it from being made. Never one to let a good story go to waste, Westlake wrote an original novel based on the premise instead – a novel he never published while he was alive. Now, nearly a decade after Westlake’s death, Hard Case Crime is proud to give that novel its first publication ever, together with a brand new afterword by one of the movie producers describing the project’s genesis, and to give fans their first taste of the Westlake-scripted Bond that might have been. MY THOUGHTS: Anyone diving into this book expecting a straight up Bond pastiche based on the back cover copy might feel a bit disappointed at first. Based on Westlake’s script treatments, the book does have many of the classic Bond tropes: international locales (the Great Barrier Reef, the Australian Outback, Singapore, Hong Kong), dangerous technology (the “soliton wave”) in the hands of a ruthless megalomaniacal businessman (Richard Curtis) out for revenge on the city and nation that wronged him (Hong Kong, during the transfer of control from Great Britain to China). But what the book doesn’t have is a highly-trained, snappily-dressed, quip-tossing super-spy as the central figure. Instead, Westlake gives us an ensemble of would-be heroes (none of them government spies, most of them not even trained hand-to-hand combatants) who slowly come together, and each make a valuable contribution, to stop Richard Curtis from destroying Hong Kong. And that, to me, is what makes this an excellent adventure novel accessible to anyone instead of just another James Bond adventure, of which there are dozens readily available. 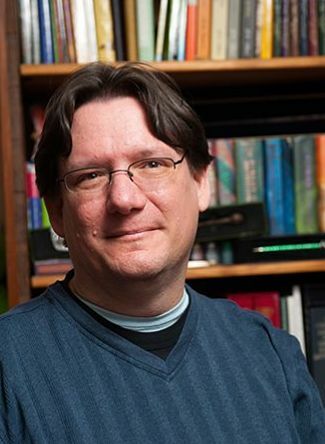 The closest we get to “Bond” is engineer George Manville, who creates (that’s not the right word, given he’s taking work others have done in a lab and putting to practical test in the real world) the “soliton wave” without knowing the nefarious use to which Curtis intends to put it. He spends the first third of the novel clearly as The Hero, discovering the villain is up to no good, rescuing the female lead and learning how to be a hero from a paperback book he’s reading … but then the author takes Manville out of the action for most of the middle third of the book. So even though he’s perhaps the most Bond-like (rugged good looks, handy with a gun, figuring out Curtis’ intentions), he’s not the only focal point of the book. Female led Kim Baldur isn’t quite a classic Bond femme fatale. She’s beautiful, knows how to scuba dive, and is dedicated to the cause to which she volunteers (the Planetwatch environmental group), but she’s also a bit innocent and a bit impetuous, which puts her in danger in a way most “Bond girls” aren’t. She does, however, manage to hold her own in several fight scenes and contributes equally to the story’s resolution. The “good guy” team is rounded out by Kim’s boss at Planetwatch, Jerry Deidrich and his boyfriend Luther Rickendorf. Jerry’s hatred for and distrust of Richard Curtis pulls the couple into the action when evidence mounts that Kim is not as dead as she seems to be at the start of the story (remember that impetuousness putting her in danger thing). Jerry feels like a bit of a one-note obsessive character, but Luther is very well-rounded. I honestly love that Westlake had no problem spreading what would mostly have been Bond’s role equally among a straight guy, a straight woman, and a gay couple. I have no idea when Westlake actually wrote this novel (sometime after the treatment was passed on by MGM in the mid-90s and the author’s death, a good span of years) but even with all the strides genre fiction has made over the past several years, it still feels a bit daring and unusual to have the female lead and a pair of gay guys be as much of a focus as the straight guy (especially in that middle third of the book, when George is virtually unseen and all of the plot movement depends on Kim, Jerry and Luther). I do have one quibble with the way Jerry and Luther are handled, but discussing it would be too much of a spoiler for this review (but it is partially the reason I’m giving the book four stars instead of five). Another great thing about the way Westlake has crafted the book is that even the secondary characters (the Australian, Singapore, and Hong Kong cops the heroes deal with, and Curtis’ henchmen) all have distinct personalities and backgrounds that influence the proceedings. None of them are “just” cops or henchmen, “just” plot devices. But the most compelling character in the book is Richard Curtis. His history, his motivations, his narcissistic personality, drive the book from start to end. Literally, as the first and last scenes hold him as the focal character. Curtis is a villain worthy of Bond, no doubt, both in personality and in the plan he’s so determined to enact. The fight scenes are dynamic as well, full of little details that immerse the reader in each fistfight, gun battle, and foot chase. The description of the first, legal, activation of the soliton wave, and an early cat-and-mouse chase aboard a dark yacht were my favorite action sequences. 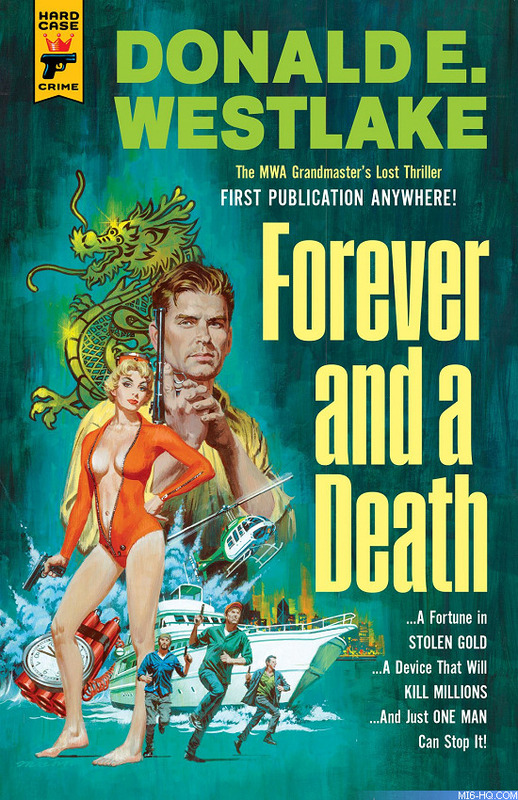 Full of interesting characters, engrossing action scenes, and a solid tie to an actual recent historical event, Forever and a Death is definitely worth seeking out when it hits the stands onJune 13, 2017, whether you’re a Bond fan or not.